Gas Buddy, the popular website and app known for showing customers the cheapest fuel prices in a given area, continues to expand its portfolio of products to help the American household save on gas. Gas Buddy has just introduced a marketplace where consumers can earn gasoline credit when shopping through the Gas Buddy app at participating retailers. In order to use any GasBack credit you earn, it must be redeemed at the pump by using the Pay With Gas Buddy card. 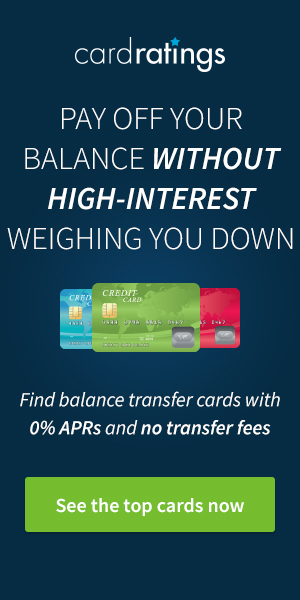 The card looks just like a credit card and is linked to your checking account for payment. Swipe the card at the pump, and any GasBack credit you've earned from the new shopping portal will be deducted from your purchase. After applying the discount, the cost of any gas you pump will be deducted from your checking account. A Gas Buddy spokeswoman said there are plans to rapidly expand the number of retailers in the next couple months. Gas Buddy also plans to learn from the in-app experience to expand the marketplace to desktops and other platforms. In addition to the ‘GasBack' you earn with online merchants, Gas Buddy also helps you save money on fuel purchases by allowing you to either receive between 5-20 cents off per gallon or by earning Shop Your Way points on every fill up. 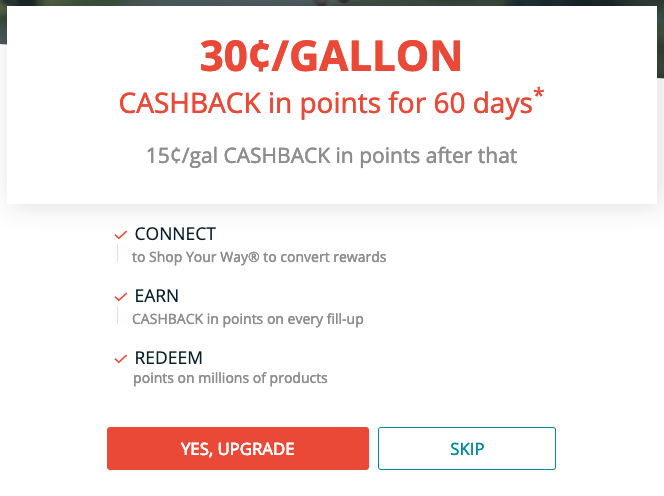 When I use Pay with Gas Buddy, I selected to earn Shop Your Way points for every gallon of gas I pump. You can currently earn 30 Shop Your Way points per gallon pumped with your Pay with Gas Buddy for the first 60 days after you sign up. Earnings then drop to 15 cents per gallon. You will still earn Shop Your Way points even when any GasBack credit is utilized. As an example, if I fill my car with 15 gallons of gas and have $5 in GasBack credit, I'll earn $4.50 worth of Shop Your Way points (15 gallons times $0.30 per gallon) on top of receiving a $5 discount from the total cost of the gas I pumped. I've earned close to $100 in free Shop Your Way credit which I've utilized online with Sears, Kmart and Lands End through Pay with Gas Buddy. Using shopping portals to maximize your online shopping is a necessity. Gas Buddy, at first glance, has made this a competitive marketplace with nationwide retailers and competitive cash back percentages compared to most other shopping portals. 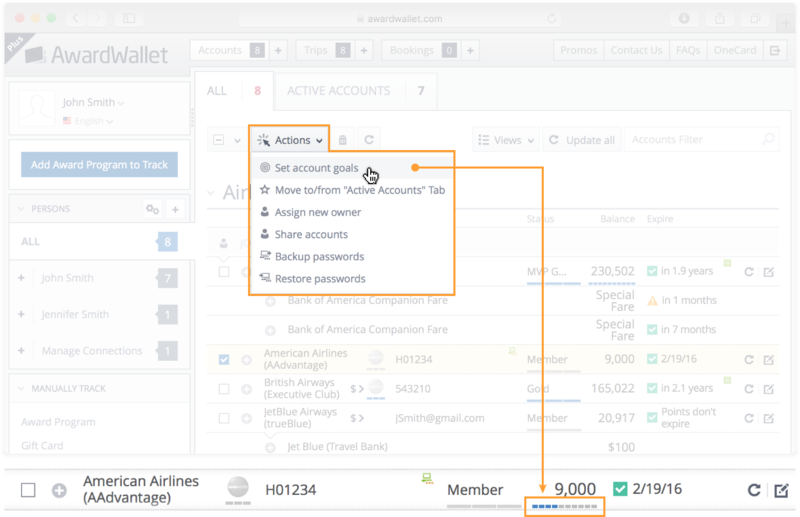 The ability to stack savings by also earning Shop Your Way points on top of using any free GasBack makes it another tool AwardWallet users should utilize in looking for fuel savings. I look forward to the marketplace expanding. Read more about maximizing your fuel purchases here. Is the Gas Buddy payment card accepted at Costco? I presume Sirius has to be a new subscription? This is interesting but pretty complicated. 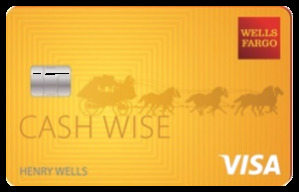 If there was only a way to get the Gasback with a credit card rather than this card linked to a checking account, I would be very interested. 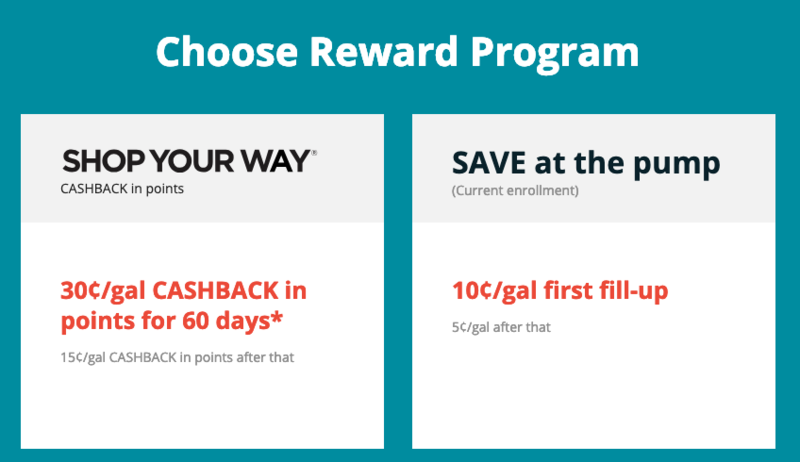 Gas rewards seems to be the hot new niche in loyalty programs. FuelRewards tied in with Shell and many local supermarket chains is a great one to consider as well. Great!! Thanks for the info on this perk!!!! great app but needs improvements. This app just keeps getting better and better! This is a great perk! A good move for GasBuddy. I wonder if this has been thoroughly tested enough to where there are not too many issues. I have other ways of saving on gas so it’s not for me but someone who drives a lot like my husband, this is a great tool. This is great! Thanks for the information! Is it just me, or does this seem overly complicated? Right?! I’m reading this like uh, no thanks… I’ll just continue to use Ebates and BeFrugal. While I prefer Sears, where I can go to the socks and underwear section and decide between a 6 pack of Hanes and BVDs (or something) over the department stores where I have to decide whether to go to the Tommy Hilfigger or Calvin Klein section to (pay the same) for a designer piece on a hanger, I would have never believed we would still be discussing Shop Your Way points in 2019, 2 monthes ago, a year ago, or 6 years ago. Interesting, may be worth checking out. It’s pretty good deal if you shop at those places. I don’t do much shopping at those locations. Thanks for the tip. I used to use gas buddy but I stopped it awhile ago. This gives me another reason to start using it agian. Sounds useful. Need to learn more. Thanks for the info! So many options available to earn some cash back! Will keep this in mind as a site to check if any of other shopping sites don’t pan out. Thanks for the info. this seems interesting. i usually fill up gas at shell stations only so am wondering if paying this way has any impact on using my Fuel Rewards credits. hoping to see some groceries partners soon! Nice review. I’ve been missing out! This may be very useful for me, I have had the GasBuddy app for the past year and have been using it before I fill up 2-3 times a week.. so if there are credit that I can earn with just doing the same shopping that I normally do online, this could really be a great bonus! I’ll definitely check this out! Another new thing I need to try. This sounds like a great deal. Will. E checking that out! I use gas buddy all the time but never realized they rolled this cash back program out. I’ll have to look into it. Glad they’re looking to expand retailers. Wow, looks like everybody’s getting into the online shopping realm. Gas buddy is my go to!!! THanks again! Love gasbuddy. Use the app all the time. I wish you could link a credit card rather than a checking account. Nice incentive to use their portal. but I wonder if the potential savings here outweigh the points that can be earned through other shopping portals. Not sure if it is worth it. Signing up for yet another online shopping portal. Good way to save on something you are buying anyway. It seems most everybody can use something at Staples or Home Depot at the very least. I wonder if you can’t get points still with the gas station with their rewards and essentially double dip and triple dip with the freedom 5% back as gas stations currently? You can also download an two apps called GetUpSide and trunow which get you money back as well on gas stations. Everyone wants a shopping portal these days it seems. Interesting, but it would be better to link with a credit card! looks like a great deal i’ll be sure to take advantage of it. This is one of my favourite Apps. Saves me $$ in gas. Love Gas Buddy when I travel in the car, always a great app. Have used Gas Buddy for years. Gives you something productive to do on cross-country road trips! Although I always have to watch myself and how far we drive off the expressway for the cheapest gas! Very glad they have introduced the cash back on gas purchases feature. Great GasBuddy! Easy to do & it all adds up. Every bit helps. Good think I usually purchase my gas cheaper at Costco anyway, so I don’t have to bother looking into this one. I shopped through the Gasbuddy site a few months ago, but never saw any of the points post to my account. Was there a step I missed to get them, or did my order just fall through the cracks? It would be nice if they made it so you could like a credit card instead of linking a checking account. Gas Buddy is very helpful though especailly when we are traveling. What stations accept the Gas Buddy card? All major retailers except “Exxon Mobil, BJs, Costco, Sam’s Club, H-E-B, Select Walmart stations, Select Arco Stations” and some smaller local retailers. Does this promotion work if I already have GAS BUDDY app on my smartphone, or do I need to delete it and start all over again as described above…does anyone know or has experienced this ? Does this promotion only work at MAJOR gas stations or can it be used at my local gas stations too ? Seems everyone is trying to get into the shopping portal game. I use the app to find cheap gas but others are better on the portal side. Thanks Richard, I’ve been using this for a while and it helps with the gas bill a lot! Always looking for more ways to cut gas costs – this looks like another good one. Some points are always worth adding if you have a stash already! I’m not convinced this is the best cashback portal. Glad to see SiriusXM on here. I’m getting ready to restart a subscription after being dormant a few years. It’d be great if I could just use my regular credit card rather than linking to a checking account…still a useful app to save with though. I did not know about the gas buddy app. I am going to give this a try ASAP. Thanks. This works good for tracking premium gas prices. I drive a Nissan Leaf 90% and I still use gas buddy to get gas cards for my other ICE car. I have not had to pay for gas in months. Hmmm, just checked my AA account, and never saw the 5 bonus points post.